Spiders are the most familiar of the arachnids and are the largest group with the possible exception of the mites. The body of the spider is made up of two parts – The harder cephalothorax and the relatively softer abdomen. The front pair of legs are longer. They have no antennae but have a pair of palps at the front which could be mistaken for them. Male Spiders have clubbed palps which they use in courtship and mating. 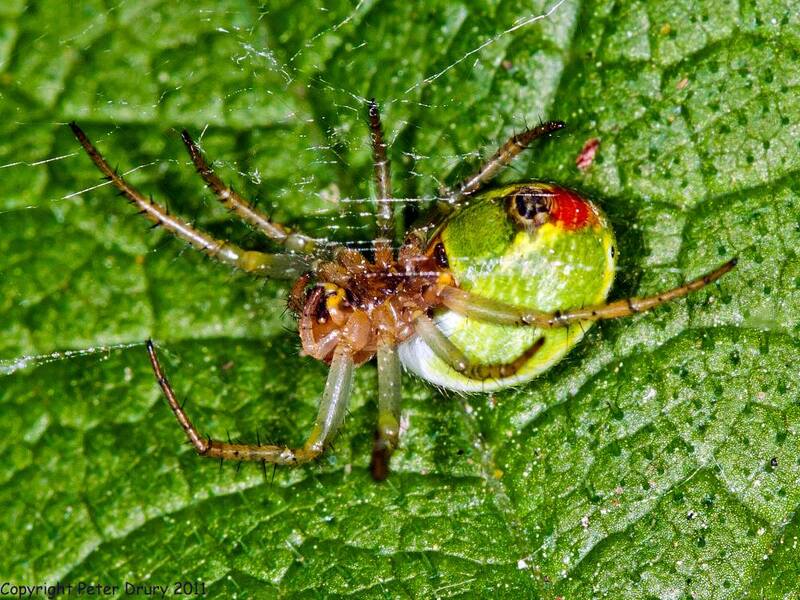 Most spiders have eight simple eyes though some have fewer. The eyes are of differing size and are arranged in patterns on the cephalothorax. Spiders are predatory. Some spin elaborate webs using silk produced from glands within the spiders body. Others are hunting spiders that leap on passing prey. They possess a pair of poison fangs which they use to paralyse their prey before wrapping it in silk.